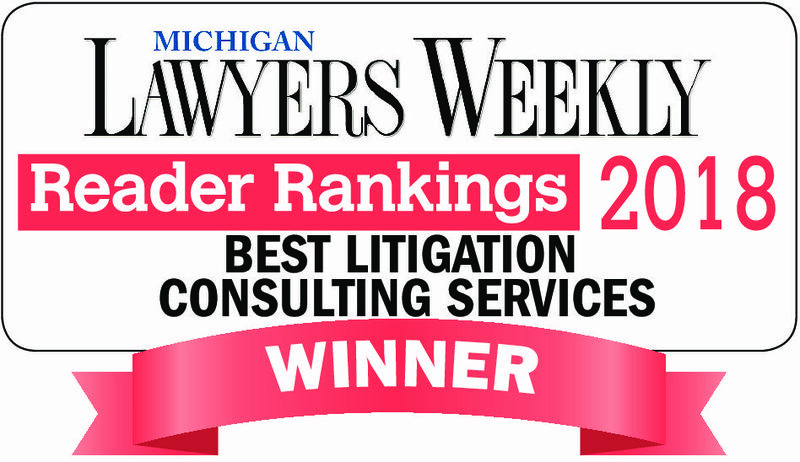 O’Keefe has been ranked first by readers among Litigation Consulting Services in the Michigan Lawyers Weekly Readers Ranking for the second year in a row. At O’Keefe, our dispute resolution professionals have the business and financial acumen to assist you with discovery assistance, economic damages, work product rebuttal of other experts, deposition and/or trial preparation, and expert witness testimony. Our professionals have testified numerous times in state and federal courts, depositions, mediation, and arbitration proceedings for a variety of litigious matters. Our findings are often used to provide the basis for settlement negotiations. We assist in developing the financial aspects of litigation case strategies, and concisely convey complicated financial issues to courts and juries.